For the past few weeks, a lot of people have been asking me about “objectivity,” mostly thanks to a contextless tweet that has been circulating among the GamerGate crowd for quite some time now. Your personal reaction to this tweet will likely depend on your personal definition of objectivity, especially with regard to how it applies to journalism. Ask ten different people for a proper explanation of “objectivity” and they’ll give you 40 different answers. To one reader, “objectivity” might equate to fairness; to another it might mean that a reporter must refuse to let their personal biases influence how they write or talk about a given subject. To others, being objective means keeping opinions out of reviewing and reporting. There’s not a lot of consistency here, and those official definitions are not particularly helpful when asking how “objectivity” applies to reviewing and reporting on video games. So come enter the realm of inside baseball and please do indulge me while I explain what I mean when I talk about this stuff. Let’s go with that first definition. “Not influenced by personal feelings.” So when I say that objectivity is a silly thing to strive for, what I mean is that there is no such thing as reporting or reviewing that is not influenced by a writer’s personal biases and feelings. Even the simple act of presenting basic news about video games is a process impacted by all sorts of little factors. Say EA announces a whole bunch of details on the new Star Wars: Battlefront including release date, platforms, and specific features. (Multiplayer-only! 40 players max! New maps!) Say you have to write about this. Of course, standard journalistic procedure dictates that while writing about this announcement, you’d put the most important information first. But deciding what’s “most important” is a subjective process. Is it the release date? The platforms? The fact that it won’t have a single-player campaign? Once you’ve decided, what goes next? What do you leave out? And how do you add value to your news story so it won’t read like a carbon copy of every other story, including EA’s own press release? Because it is impossible to write anything without making those subjective decisions, it is impossible for any journalist to achieve any sort of objectivity. And it’s silly to pretend that we can make those decisions in a vacuum. Writing can and never will be free of outside influences. It’s too malleable. So if not objectivity, then what? I think the two most important guiding principles for a journalist are A) honesty and B) fairness. The first one is pretty obvious—and it’s pretty easy not to lie, cut corners, or pretend to know something you don’t—but being honest doesn’t just mean writing truthful things. It also means being clear about your sourcing, providing proper context for all of your quotes, and, perhaps most importantly, finding the truth even if that means challenging sources and asking tough questions—actions that are unequivocally subjective. A reporter who echoes false information or lies under the guise of “objectivity” is failing to do his or her job. Fairness is a little trickier, because the act of determining what is “fair” is also subjective, and it can never take priority to the truth. It’s certainly fair to ask all parties of a story for comment—and for any substantial or serious story that’s essential—but is it fair to give all of those comments equal weight? What if one party has done something wrong? What if one party is clearly lying? Is it fair for a reporter to say so? Should a journalist writing a story about gay marriage give equal space to those who are against it? When I found out last year that the game company Crytek had not paid its staff, and the company refused to comment, should I have refused to report the story because we only had one side? Sometimes reality can paint an unfair picture. Still, a journalist’s responsibility is to be as open-minded and neutral as possible in pursuit of the truth, which is perhaps how some people define “objectivity.” If that’s your definition of the word, then I’m all for it, although it’s not quite as easy as it sounds, and recognizing one’s biases requires a level of self-awareness that can be really challenging to reach. It can be tempting, as a reporter, to come at a story with preconceived notions and shape the narrative a certain way whether or not you’ve actually figured out what really happened. Just ask the folks at Rolling Stone. A quick note on game reviews: obviously the notion of a review uninfluenced by opinion is silly, and reviews are not very useful in a vacuum, without influence from outside factors. But those who call for “objective reviews” while really meaning “reviews that are not affected by the pressure of video game publishers and developers,” I sympathize. Your word choice could be better, but I’m with you. It’s tough for people who have never done this job to understand the challenges and questions that reporters face, which might be why so many seem to think it’s an easy process. 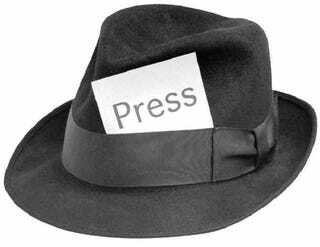 As a reporter in the wild, wonderful world of gaming, I have to wear a lot of different hats, and because of that, I wind up writing and reporting a lot of different types of stories, from quick news blasts and silly blog posts to big reviews and long investigative reports. There is never a one-size-fits-all approach for what we do. Some articles call for lighthearted opinion; others call for stone-cold stoicism. But none of them ever call for objectivity. They never could.